Whilst most of us could probably place Argentina as “the long country in South America”, could you answer the question of what is Argentina famous for? Ever heard of Friends Day, danced the tango, or bought a Che Guevara t-shirt? There are so many surprising Argentina facts about this beautiful country that you’ll be amazed to discover what Argentina is famous for. The Moon Landing in the 1970’s was watched by millions, but for one Argentinian scholar, that day had a particularly profound effect. After feeling connected to everyone on earth whilst watching Apollo 11, this particular Argentinian founded “Dia del Amigo” (Friends Day), now an official holiday in the capital of Argentina, Buenos Aires. 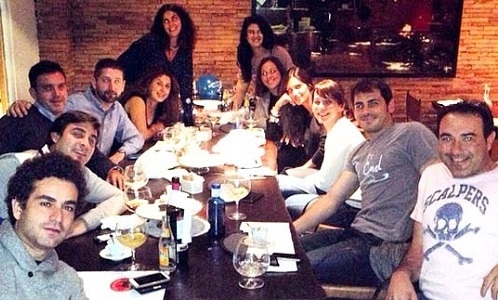 On July 20th every year, friends gather, parties are held and toasts are offered in the name of friendship. In 2005 the cell phone networks in Buenos Aires even crashed because they couldn’t handle the vast number of calls being placed between friends! The undisputed “dance of love”, the Tango is recognized around the world for its intimate embrace and seductive movements. What is less recognized is the Argentina fact that this risqué form of dance was first performed on the banks of the Rio de la Plata which separates Argentina from Uruguay. Originally a dance of the working class people, the Tango spread to the city dance halls of Buenos Aires and, eventually, to Paris and then the world in the craze beginning in 1912 and enduring down to today. How many countries have a dinosaur named after them? 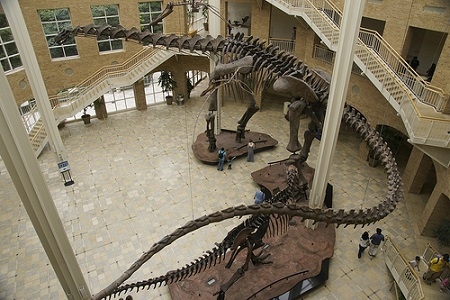 And not just any dinosaur…a gigantic one! This fantastic Argentina fact emerged with the discovery of some excellent fossils during the last decade, amongst them, Argentinosaurus. An herbivore, this colossal Argentinian reptile was 38 meters in length and is believed to weigh as much as 75,000 kilos - to put that in perspective, it’s more than 10 elephants! Amazed that such a huge beast could get around on terra firma, scientists did a digital reconstruction and determined Argentinosaurus could actually run at a speed of 2 meters per second! 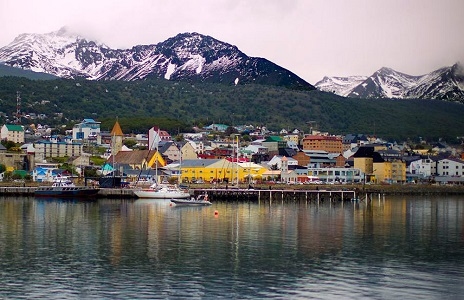 Regarded as the world’s most southern city, Ushuaia, the capital of Tierra del Fuego, is home to 57,000 Argentinians who are happy to make their home within the sub-polar climate. Despite average temperatures of just 1.6 °C in the winter, tourists are willing to brave the cold to experience the majestic natural beauty of Tierra del Fuego National Park - the southernmost national park in the world, including an abundance of polar wildlife and an assortment of glaciers, mountains and forests. Travelers to this Southern jewel of a city can also visit the legendary "Lighthouse at the End of the World" made famous by Jules Verne. Among all the Argentina facts, Che Guevara is totally a special one. Say the name “Che Guevara” and most people will think of a bold South American revolutionary, an iconic symbol of individuality and freedom. 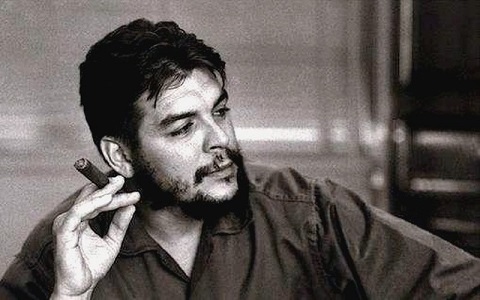 Many would probably also get a clear picture of Che’s face – his portrait by Alberto Korda has been named the most famous photograph in the world and can be found adorning t-shirts, posters, murals, buttons and bags. But most people probably don’t associate Che Guevara with Argentina; they really should though, seeing how he was born and raised there. Born in the town of Rosario, Che trained as a doctor in Argentina before setting off on his life as a revolutionary, culminating in his execution in Bolivia. Venezuela’s Angel Falls are the highest, the US/Canadian Niagara Falls are the most famous and the African Victoria Falls are the world’s largest, but when First Lady Eleanor Roosevelt saw Argentina’s Iguazu Falls for the first time, her reaction was to proclaim, “Poor Niagara!" Surrounded by lush rainforest, the Iguazu Falls have a brink spanning over 2 kilometers and are composed of 275 individual waterfalls that flow together. 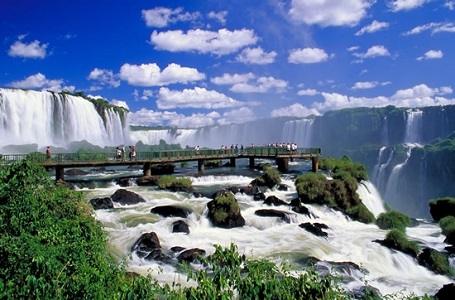 With access points allowing tourists to get up close and personal with the falls, many tourists proclaim Iguazu to be the very best waterfall experience in the world. This is one of the Argentina facts that every Argentine is proud of. In case you ever visit, you should be aware of some important Argentina facts related to the etiquette of drinking. For example, did you know that if you pour wine backwards into a glass, or use your left hand to pour, the recipient of that drink will be mortally offended? Why? Because you’ve just told everyone how much you dislike that person. Here’s another important ritual involves the drinking of mate. 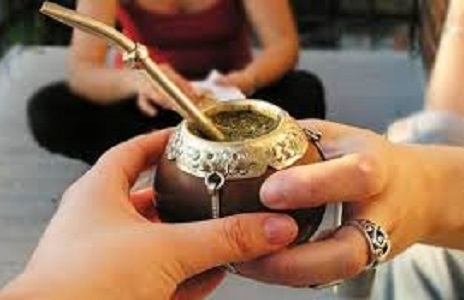 There’s an Argentinian tea which is served in a special gourd and sipped through a silver straw. When passed the gourd, do not assume the drink is all for you – take a sip and then pass it on to the next person. In the culinary world, what is Argentina famous for? Of course the asado and alfajores, two Argentina food. Asado is synonymous with the legendary Argentinean beef, but in all honesty, the traditional asado involves many different types of meat, grilled over an open fire and eaten with a large gathering of family and friends. The succulent meat and smokey flavor are testament to the skills of a true asador, who is assigned to cook the food. For postre (dessert) the Argentinians enjoy alfajores; imagine the most delicate, buttery shortbread you’ve ever tasted. Now, picture two of these delicious biscuits with a decadent, caramel type filling known as dulce de leche sandwiched between them. You’ve just imagined it. Try these two delicious Argentina food if ever you get a chance to go there. 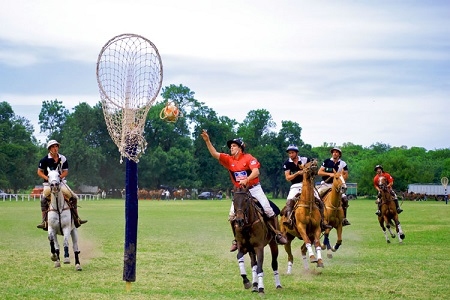 Around since the early 1600’s, Pato is like a cross between polo and basketball and is the national sport of Argentina. The name “pato” literally means “duck” in Spanish, as the earliest versions of this game used a live duck in a basket instead of the more humane ball that is used in the modern game. The game has been banned at numerous points throughout history because of its high death toll, caused by riders falling and being trampled or pulling knives on each other during the heat of the game. The modern version is much more refined and seldom results in knife fights. As a final Argentina fact, it seems fitting that the subject should be the actual word “Argentina”, doesn’t it? 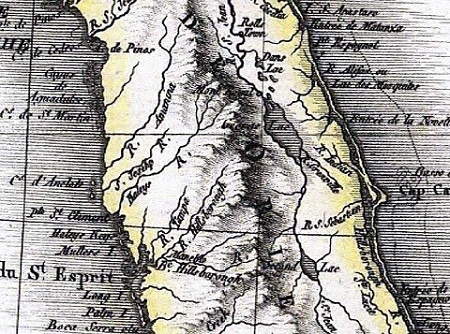 The name originated from the Latin word for silver, “argentum”; the early European explorers named the land after the silver mountains legend, which led them to believe that the hills of Argentina were filled with this precious metal. This legend began when a shipwreck survivor named Aleixo Garcia heard stories of a mighty White King who lived in a country flowing with silver. Server responsed at: 04/19/2019 10:33 a.m.